Year 1S OLC: Grandparent's Day! 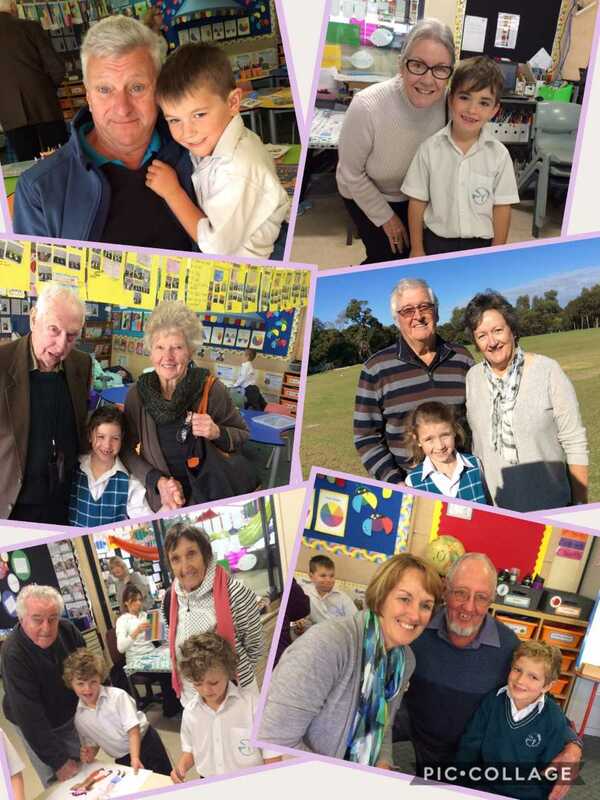 Grandparent’s Day was a huge success! We had almost half of our hall filled with grandparents from families across the whole school for our prayer service in the morning. Afterwards, our grandparents had a bite to eat and a cup of tea and then they shared in some learning experiences with their Year One grandchildren in the classroom. 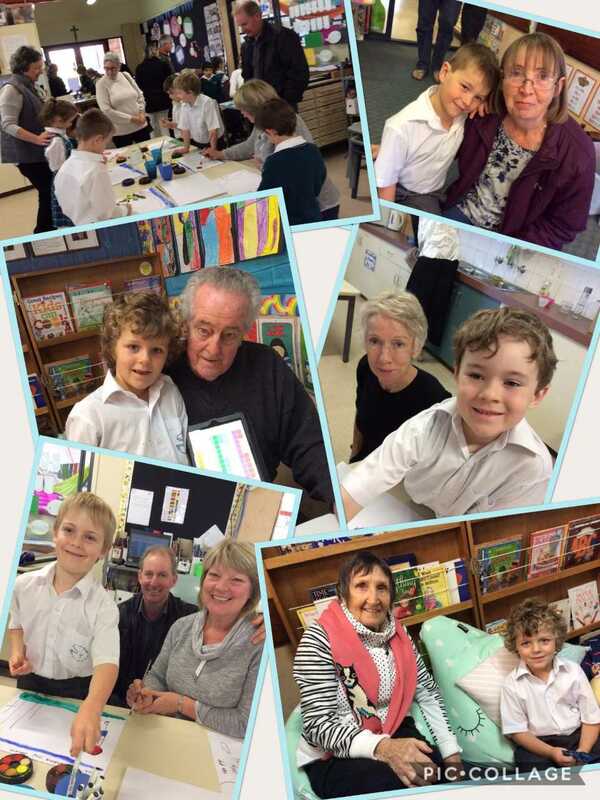 We spent some time reading to our grandparents, showing them what we can learn on the ipads and painting pictures of each other with water-colour paints. Some of our grandparents traveled far and wide to be with us on Grandparent’s Day and we thank them all for joining us on this special occasion.